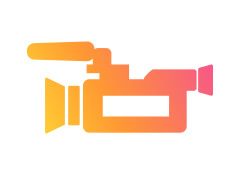 Skilled and experienced videographer wanted to join a newly formed independent music Label on a freelance basis. FIRSTLY EXPERIENCE IN MAKING MUSIC VIDEOS IS A MUST. You must have knowledge on how to use micro four third cameras namely GH5 or GH4, DSLRS in conjunction with a Gimbal. You will be required to work on a freelance basis and all jobs will be paid jobs whether it be in house or for external clients. Having your equipment isn't a must but it helps and lastly, you must be open minded reliable and willing to travel. In other words, a good team player.